Let me just begin by saying, I am not a scientist! I am however pretty confident in my creative, DIY, Pinterest, Momma skills...until now! Y'all, there are seriously 100s of recipes! With borax, without. Shampoo, dish soap, cornstarch, contact lens solution, Epsom salt, shaving cream, Elmer's glue, glitter, food coloring, liquid laundry detergent...it goes on and on! B) which recipe do I have all the ingredients for. We started out with the simplest one I found. 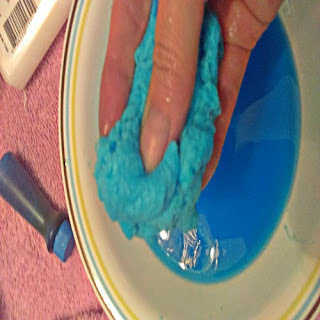 slowly begin to "work" mixture with hands until cornstarch dissolves and mixture becomes..."slime"
This has got to be in the top 10 of grossest, weirdest things I have ever put my hands into. Seriously...I'm a Momma. I have kneaded bread, made meatloaf, touched poop, vomit, dirt and a few un-identifiable substances! I have NO idea, WHAT we made! 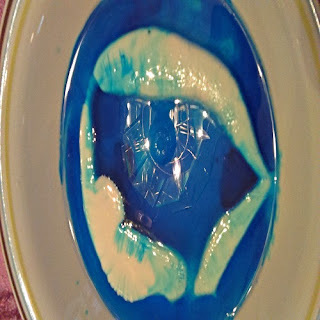 It kind of had the texture of chewed gum you'd find in your kid's pocket after the wash but before it has been heated and dried. Add in a little grit from the dirt and lint that is now wrapped up and became a part of it. Or as I like to think...almost slime. Now, This one started out great! We thought we had finally gotten it! Real slime! We has all the ingredients. We had done everything just like it said. And the "slime" was actually starting to form and feel like slime!! Although there seemed to be a ton of extra "blue water" that the glue just wouldn't soak up. 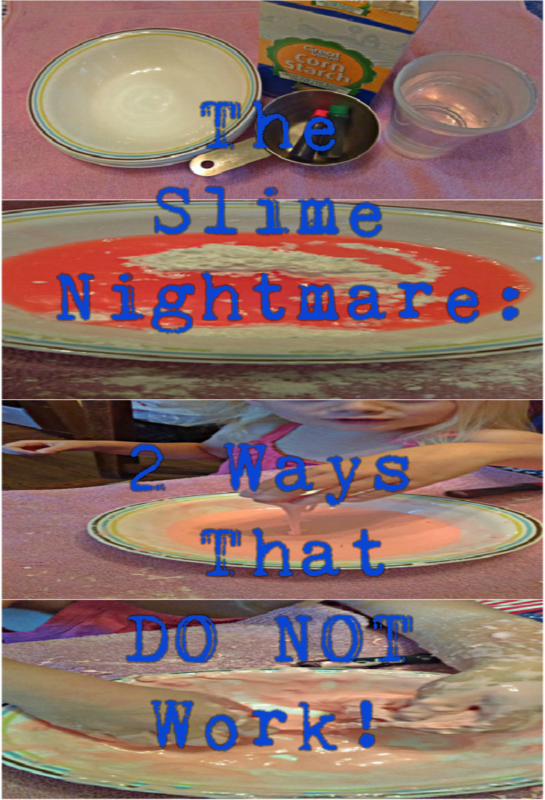 No matter how much we dipped and tried to work it into our slime. She LOVED it....for about two minutes! Like the cotton candy that sits out and gets air! I have no clue what we are doing wrong! 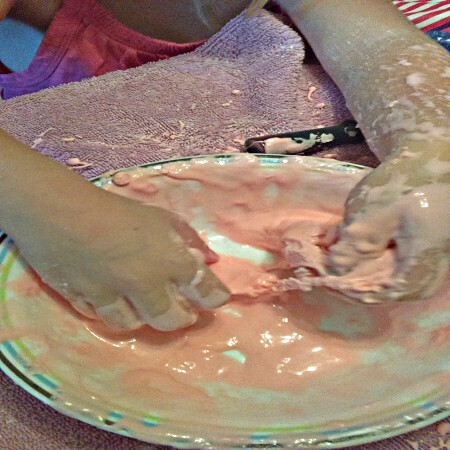 Making slime cannot be this hard! 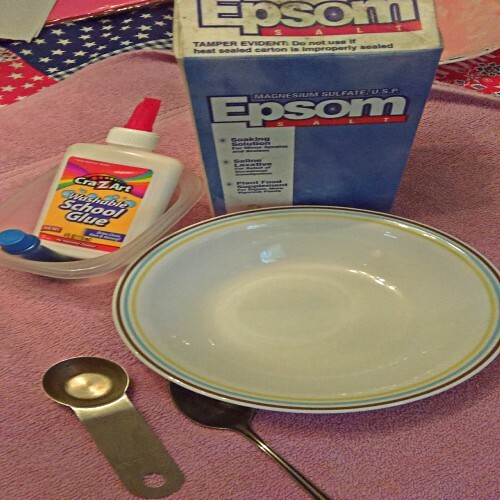 Have you ever tried either of these recipes? I'd love to know of one we can easily make that really...works!